"Asante", Swahili for "thank you", is something an African merchant might say to you after he has made a good deal, and if you prove to be the better merchant in this game, you might wind up with an "Asante" at game's end. 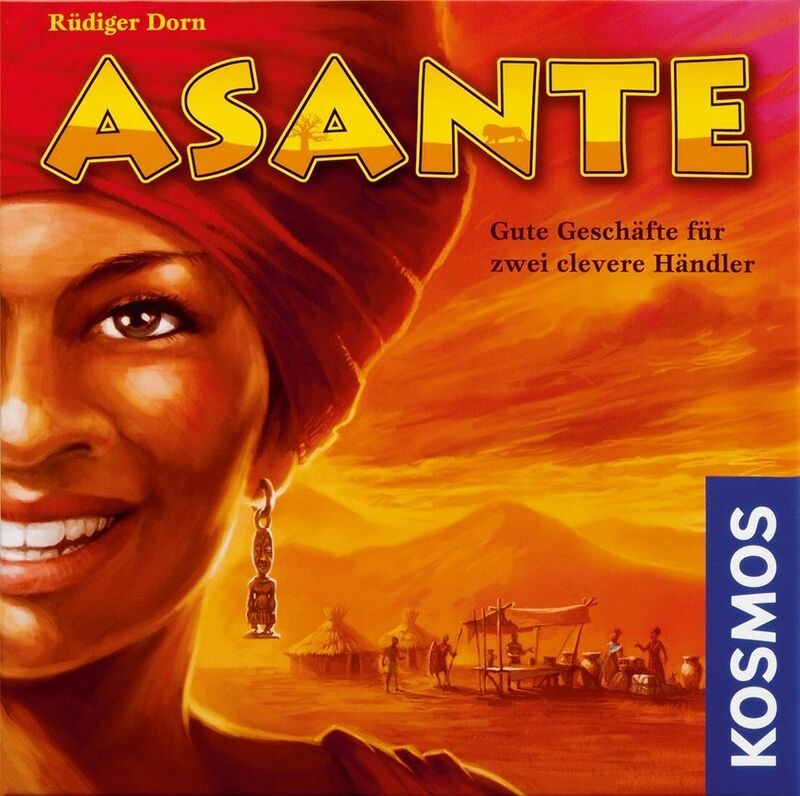 Asante is a two-player game set in the world of Jambo and Waka Waka with the same designer and artist as those games: Rüdiger Dorn and Michael Menzel. The players are dealers in an African marketplace, buying and selling furs, silk, jewelry, fruits, tea and salt in order to make the most money possible. During market day, they meet individuals with special abilities who can make deals not otherwise available; a player can also cause havoc for the opponent by loosing animals on his stand. If you visit one of the fifteen holy sites, you can take advantage of the special powers at those locations in addition to your normal five actions. Asante can be played together with Jambo or its expansions to create a marketplace with even more activity among its stalls!